2013 was a great year for cause marketing. I saw a lot of creative, interesting, successful and lucrative promotions. Update: My list of best cause marketing promotions of 2014 is live here. In December, I reviewed my Pinterest boards and picked 27 special campaigns. Thanks to the help of my email subscribers, blog readers and Pinterest followers, I've narrowed the list down to the ten best cause marketing promotions of 2013. The key ingredient I looked for in all the promotions was inspiration. Each one had to have a special quality that made me want to see more of it. For example, while percentage-of-sales (POS) promotions are hugely popular, I don't - in general - find them very inspiring. It's hard to walk into a store and not trip over a POS promotion. Borrrring! The promotions below are just the type of promotions I want to see more of in 2014. One last thing. I didn't rank the promotions from one to ten. In my mind, they are all number ones in their own way! Why I Picked It: First, socks are one of the most needed but least donated items in shelters. 500,000 socks from Hanes will have a big impact. Second, this isn't a one-time donation from Hanes. They've been donating socks for years - millions of them. Third, #HanesForGood involves one of the best advocates for the homeless in the country, Mark Horvath of InvisiblePeople.tv. Whenever Mark is involved you know something good will happen! Why I Picked It: Two reasons. First, it raised a boatload of money for the One Fund, the fund set up for the victims of the Boston Marathon Bombing. Nick and Chris had hoped to sell a couple hundred shirts. Instead they sold over 59,000 tees and raised nearly one million dollars. Second, what Nick and Chris did with Milwaukee-based Ink for the People is the shape of cause marketing to come. Do-gooders like Nick and Chris are Halopreneurs - small time operators that leverage a business platform - usually temporarily - to raise money for good causes. Watch for more of them in 2014! Why I Picked It: I love cause marketing promotions that zag when others are zigging. That's certainly the case with this cause marketing promotion from Patagonia which encourages customers to fix their old Patagonia gear instead of buying new stuff. How many businesses tell their customers NOT to buy things from them?! 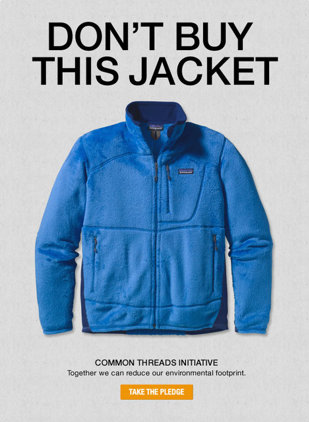 This Patagonia promotion also highlights another trend for businesses (which I recently predicted would take off in 2014): dumping the nonprofit partner and going it alone as Patagonia did with its Common Threads Intiative. For More Information: Patagonia Tells Customers Not to Shop on Black Friday. Wait, What? Why I Picked It: Pinups have been around for decades, and are not the most beloved of fundraisers. Still, these fundraisers raise hundreds of millions of dollars each year, and when done well, they're tough to beat. 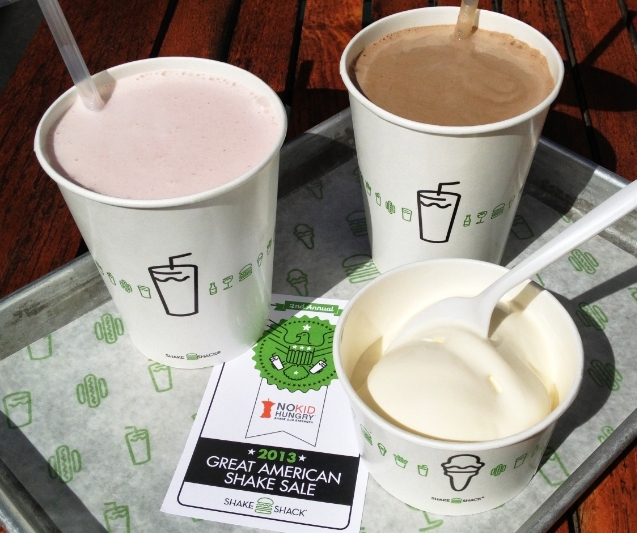 Take the example of the 2nd Annual Great American Shake Sale from Shake Shack to support Share Our Strength's No Kid Hungry. The inaugural event in 2012 blew me away when just nine Shake Shack locations raised $135,000. Just imagine my surprise when they raised over $285,000 in 2013. Shake Shack and Share Our Strength are a model of how an old-fashioned tactic - pinups - can be well executed by a small chain in a crowded, and sometimes jaded, marketplace. Why I Picked It: It's easy to do cause marketing when you're a store or restaurant. But what if you're a cleaning business, and you almost never see your customer? Cleaning service Merry Maids had a brilliant idea. In February they left each customer a donation box to fill with coins and dollars. At the end of the month they collected the money on behalf of the American Heart Association. They raised over $100,000. Why I Picked It: I've learned something this past year. Cause marketing is my term for fundraising with businesses. But the average person calls it pay it forward. The phrase covers a whole bunch of things, but one of them is when a business helps its customers to give back. Take the example of Starbucks, which has launched suspended coffee. When you buy coffee you can support a fund that gives free coffee to someone who can't afford to pay. A great example of the pay it forward movement in action is #AJO. You can learn more about the campaign here. It highlights that the ultimate driver of cause marketing is individuals, not businesses or nonprofits. Why I Picked It: My readers picked eatiply! I love how eatiply is tackling a huge growth area for cause marketing: restaurants. And they are tackling them with just the right giving model, buy-one give-one. Every time you dine at an eatiply supported restaurant and choose a featured entree, a meal is donated to someone in need. eatiply is just getting started, but they are tackling an important issue - world hunger - with an ambitious model that's focused on success. Why I Picked It: Consumers are asking companies to step up their commitment to causes. That means more cause products. Take the example of Astronomers Without Borders and Celestron. As a top telescope maker, Celestron worked closely with its vendors to source the parts for this scope. The result is an outstanding telescope (Sky & Telescope Magazine named the scope one of its list of Hot Products for 2014) that is affordable ($199) but when purchased triggers a generous donation to AWB ($100+). The One Sky Telescope is out of this world! Why I Picked It: Whenever I sit down with an organization to discuss a cause marketing promotion, I always talk about assets. What do you have that will make a promotion a success? Well, Dunkin Donuts had 150 busy stores in Illinois. Illinois Law Enforcement had people-power - thousands of officers to support a fundraiser. Both Dunkin and Illinois law officers were committed to finding a way to support the Special Olympics. Someone had the idea to combine the two and put the cops on roof! Genius! More creativity is just what we need in cause marketing. They could have just put donation boxes at the store registers and called it a day. Instead, they chose a creative fundraiser that put the donation box on top of a roof where customers would take notice. The result? Cop on a Rooftop raised $300k last year and has endured for 11 years. Donuts and cops really do go together! Why I Picked It: When it comes to cause marketing and social media, the most proven and successful medium for fundraising and awareness building is Facebook. Take this great example from CafeGive and Bank of Ann Arbor. The bank launched a two weeklong voting contest, encouraging its community to vote for which of its 12 local schools would receive $3,000 towards its performing arts programs. It's an understatement to say the campaign was successful. The 47,300 votes cast grew the bank’s fan base by 10%, reached 170,000 Facebook users, and successfully crowdsourced charitable giving to 12 schools. From the beginning, Bank of Ann Arbor involved all 150+ area schools and 150 employees to act as campaign advocates and promote the campaign.